Not many places can claim an upper hand on Las Vegas, but Macau is the exception. The Las Vegas of the East takes in more gambling revenue than Vegas and has 4 of the 5 largest casinos in the world. 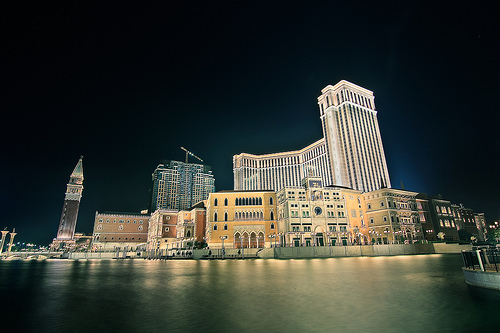 Venetian Macau, the biggest casino in the world, boasts more than three times the square footage of MGM Grand. A short ferry ride from Hong Kong, Macau is a must for the gambler in you. The cobbled back streets, baroque churches, stone fortresses and art deco buildings lend a European charm to Macau - after all, it was the first and last European colony in China. Add to that the great shopping (where there's gambling, there's shopping), the tasty treats and the highest bungee jump in the world (from Macau Tower), Macau is just the perfect destination for those bachelor / bachelorette parties or guys' / girls' trips looking for something out of the ordinary. Yes, I do agree that Macau is the best destination for Bachelor party. We had arranged our Macau Bachelor Party there, which was excellent experience.